We know what we expect from a Mahesh Babu film – lots of action, great fight scenes, and a tenacious, tough hero with a heart of gold. We also expect to be thoroughly entertained by a good story, and Athadu lives up to expectations on all those fronts. Mahesh plays Nandu, whom we first meet as a child when he shoots a gangster called Vanka Suri. This is never really explained so we assume he was just on the fast track in his chosen career. Escaping from Suri’s henchmen (shooting one while the other runs away, although as Nandu only had a sawn off shotgun, had fired two shots and hadn’t reloaded, we’re not sure why the other thug ran away – but that’s a minor detail), he meets up with the gangster Sadhu and gets recruited into his fold. Following a bank robbery the gang ends up in custody at the police station, but Nandu manages to escape and rescue Malli and Sadhu, killing a police inspector along the way. So this establishes that Nandu is a killer who has no compunction about taking whatever action he feels is necessary to ensure his survival. We can therefore jump to the present where we see that Nandu is a contract killer, still working with Malli now played by Sonu Sood, and he seems to be very good at his job. Malli on the other hand appears inept as a getaway driver, since the first time we see him he gets stuck in traffic, and the second time he manages to drive into a petrol tanker and is blown up! Nandu accepts a job for politician Siva Reddy who wants to garner the sympathy vote resulting from a supposed failed assassination attempt, and use this to get into power. Nandu is hired to shoot but not kill Siva Reddy. The mission goes badly wrong when Siva Reddy is shot and emphatically killed – by someone else. The police know exactly where Nandu is, suggesting that there is some sort of set-up going on, but despite this Nandu manages a spectacular escape onto a train. This is where he meets Pardhu, who is returning to his village after a self-imposed exile of 12 years. Pardhu is accidentally killed by the police and after escaping the police pursuit, Nandu goes to the village in Pardhu’s stead. To further complicate matters, Pardhu has issues to deal with back in the village, one of which is his fiancée arranged since childhood, Poori, played by Trisha. This is where our ‘heart of gold hero’ manifests, as Mahesh helps Pardhu’s grandfather who is having land rights issues, and generally makes himself useful. Over time he also falls in love with Poori – they ‘accidentally’ kiss and many colourful song picturisations ensue! In time however, the CBI in the form of Prakash Raj catches up with Nandu. 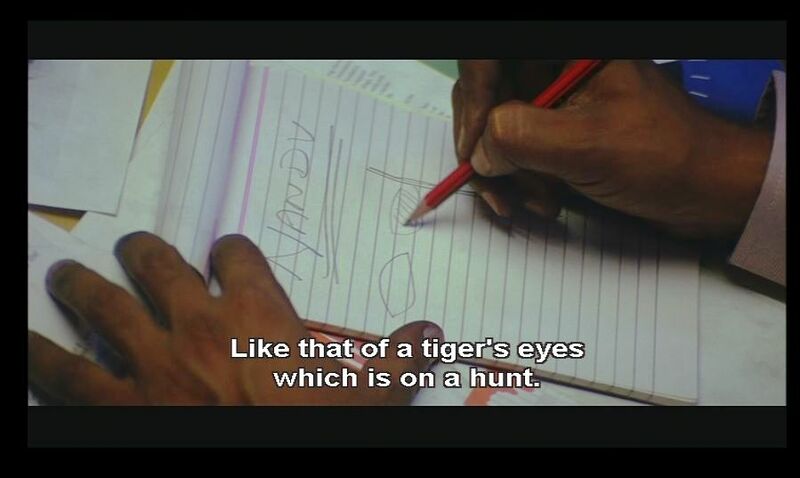 Prakash Raj also gets a chance to display his excellent Identi-kit Artist skills after somehow deciding to interview old time gangster Sadhu who is in jail. It could only be a matter of time til they identify Mahesh Babu from that sketch! The amazing artistry of Prakash Raj! If the plot seems convoluted up until now, it just gets twistier. The CBI has already realised that Nandu couldn’t have been the killer, but they keep pursuing him as the number one suspect. When the action shifts back to Hyderabad, a number of other factors come into play until almost everyone who was involved with the plot to assassinate Siva Reddy is dead. 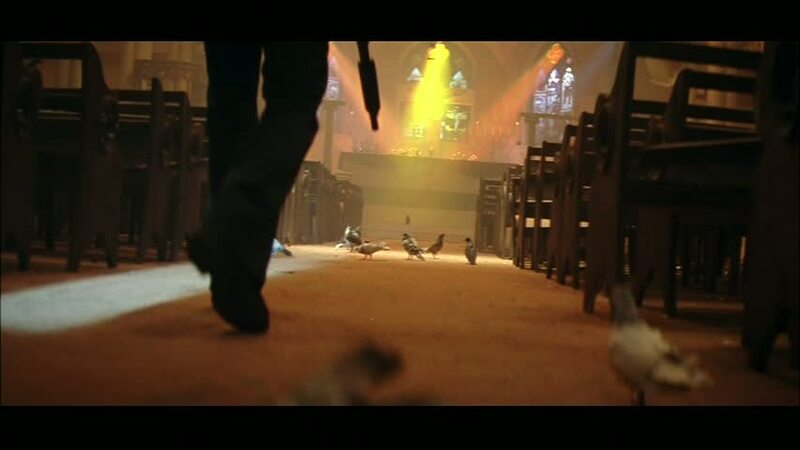 The final scene between the actual killer, Nandu ,various officials and police takes place in a church and is very reminiscent of John Woo’s excellent film, The Killer. Nandu confronts the real assassin and explains: “Killing is not wrong. If you kill your enemy it is a war, if you kill your friend it is a crime, and if you kill a betrayer it is justice.” And the resolution of the film hinges on those words. Mahesh has mastered the official patented hero run, which he does use to good effect in his many escape efforts in this film. He excels at playing the hero who doesn’t say a lot, but instead lets his actions speak for him. A comment on Mahesh’s wardrobe – he seems able to pull off the most amazing moves despite his love of the layered look. We never see him without at least 2 T-shirts and a shirt, or a T-shirt, shirt, jacket combination. We like to call this look “Maxi-layer Mode Mahesh”. It is hard to believe he doesn’t collapse of heat exhaustion while dancing! Instead he looks cool and in total control. Trisha is believable as Poori, the pampered princess whose elder sister isn’t as pretty or as spoiled as she is. But she is genuine in her love for Nandu, and Trisha manages to make her character’s self absorption come across very well in the initial scenes. This film has the usual suspects of Sunil as the best friend, Brahmi as the cantankerous son-in-law, Ajay as the son of the murdered politician, and the various other actors who play mums, dads, uncles, aunts and thugs and who never seem to be out of work in Telugu cinema! The action is well choreographed as usual by Peter Hains, and fits well within the narrative. The plot is complex enough to require some concentration, if only to remember who everyone is and their connections to each other. One of the credited choreographers is Vaibhavi Merchant, and indeed the dancing in this is a cut above some of the other Mahesh films we’ve seen. Heather says: This is one of my top 3 favourite Mahesh films with an excellent performance by Mahesh, and a really well developed story. The character of Poori is nicely played by Trisha, and she manages to hold her own in her scenes with Mahesh. Given that she is playing a rather shallow and selfish character she does instil her with enough warmth that we do want to see the romance work out in the end. Mahesh is in top form as the über-cool all action hero who can fight through the various gangs of thugs, police and various other obstacles in his way; capture the respect and heart of a family and romance the heroine. He really is perfect for this role – able to express so much just by small changes in his facial expression, and moving his gaze – just too good! The transformation from cold killer by the realisation that he didn’t need to be the lonely outsider was a different take, and used the storyline of the family with a missing son very well. The supporting cast keep the story cracking along at a fast pace, and everyone has a part to play. For a change Prakash Raj is the good cop, and turns in a slick and polished performance in this role. There is really little I can criticise in this film as it all comes together so well, and Trivikram has done a fantastic job with the screenplay and direction. It is fairly violent, but never in a way that is purely gratuitous, and certainly no worse than many Hollywood films. This gets 4 1/2 stars from me! Temple says: This is one of my favourite Mahesh Babu films. It doesn’t have the best soundtrack, dancing or story but it just has a bit more depth than the usual loner-on-a-mission fare and manages to blend the action, romance and comedy very successfully. I give much credit for that to Mahesh Babu. His performance is fantastic and nuanced and he really drew me into caring about what happened to Nandu despite that character being a sociopath and murderer. His subtle reactions to being welcomed into a family – such a foreign experience for him – were funny and touching. 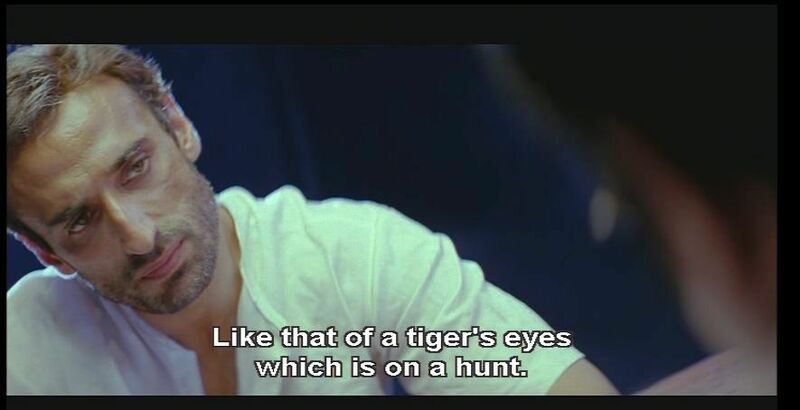 His struggle to understand women, especially the irritating mosquito style of Poori, and his dry sarcastic put-downs were brilliantly delivered. I thought Trisha did well with her role which was a shallow princess-y character although I don’t think there was much chemistry between Poori and Nandu/Pardhu. The fight scenes are expertly choreographed, better than the dancing for the most part, and are restrained yet gory and very effective. The climax scene, a beautiful tribute to John Woo, just went a bit overboard on pigeons and men who couldn’t shoot straight. I liked the comedy track but I did have issues with the rather daft police investigation process in this. Much as I could sympathise with Nandu for the Siva Reddy debacle and the fact that he seemed like a decent guy in light of his actions in the village setting, it doesn’t alter his past as a contract killer. So while I applaud the ending, it’s all a bit wrong. Only in films! Points off for a so-so soundtrack and dancing, and more so for not getting Prakash Raj a stunt-artist and for the abysmal marksmanship. I give this 4 stars! This entry was posted in Tollywood and tagged Athadu, Mahesh, Mahesh Babu, Prakash Raj, Sonu Sood, Telugu, Tollywood, Trisha, Trivikram. Bookmark the permalink. I like the songs more than Temple, but I agree that this film excels because of the acting and story. Often the best part of a movie for me is the music and dancing, so its great when a film actually has it all. This sounds right up my alley! The problem of my slow Sunday is now solved. I’m a little ambivalent about Trisha but I’ll take it. 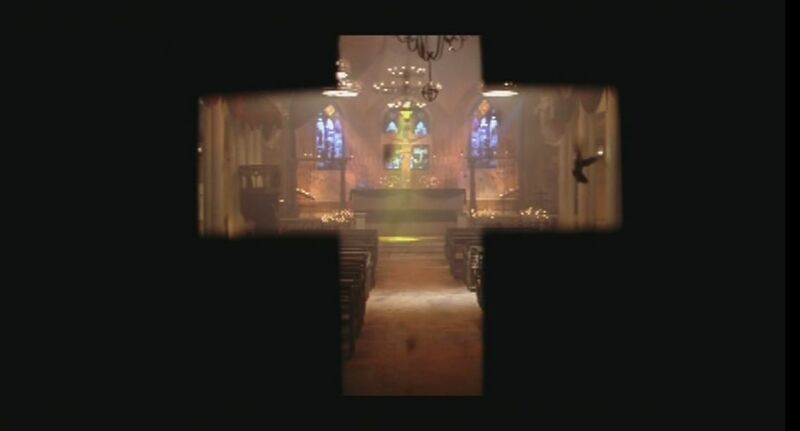 Ok, so I just finished watching Athadu and it was frickin’ awesome as advertised! Thanks! But I must say Maxi Layer Mahesh did nothing for me when busting a move. He never does. I much prefer him strong, silent and busting heads. And Trisha IS well-suited. I laughed out loud, even in subtitles, when she and Nandu were having their little banter sessions. Your friend is correct, of course, but given the other end of the spectrum is Amrita Rao with her loverstruck-calf face, Trisha is much better. 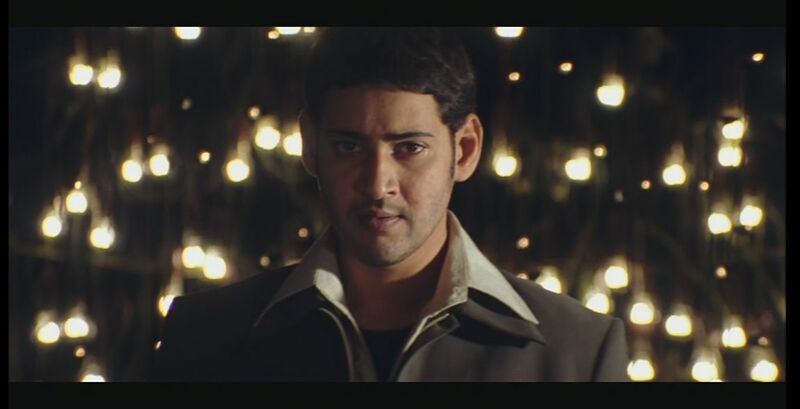 Are there any movies in which Mahesh Babu is not a baby faced killer? And are they any good? Tell me! **edited to add – I asked the universe and it answered – Murari is also recommended. Mahesh as sacrificial lamb who fights his destiny. It’s on my list to track it down . So I just saw Sainikudu (sp?) with much the same core cast, and Trisha was hilarious in it. So, rethink I guess. Its an ever green movie.